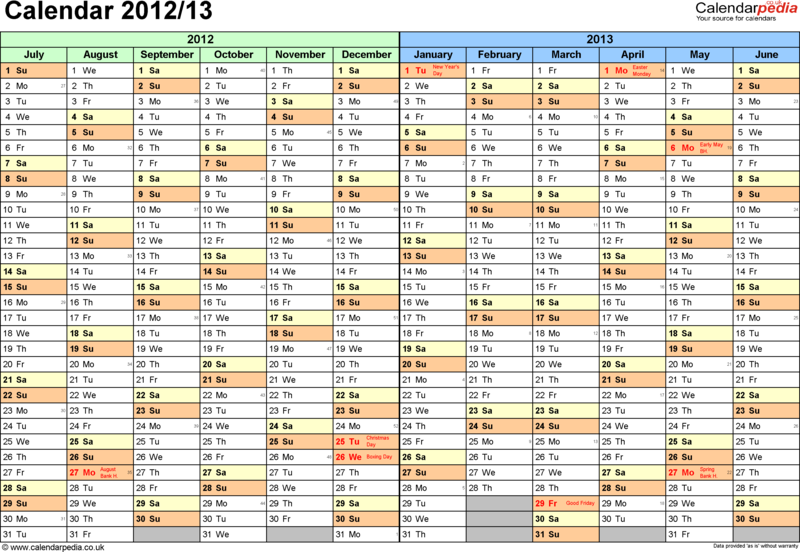 Split year calendars covering the period July 1st, 2012 to June 30th, 2013 (2nd half 2012 and 1st half 2013 to view on a single sheet). Version for the United Kingdom with UK bank holidays. Years are marked in different colours for easy identification. Available in both landscape and portrait orientation. Use them as a mid-year to mid-year planner for dates, schedules and events, and for tracking proposals and projects. The calendars are easily customisable and modifiable, flexible, and simple to change and adjust, suitable for a large number of diverse uses, e.g. as an academic, semester and school year planner, hobby, club, society or community calendar, seasonal planner or agenda, holiday, travel, vacation or trip planner, academic, work or funding application process and progress tracker, planner for events, celebrations and special occasions, business calendar, non-standard year planner, desk calendar or wall planner, for project planning/project management, CRM, ERP, PLM, EMM, SCM, as team collaboration tool, time tracking and many more. Plan ahead and get organized with these bright, colourful and attractive split-year multi-purpose calendars and planners! 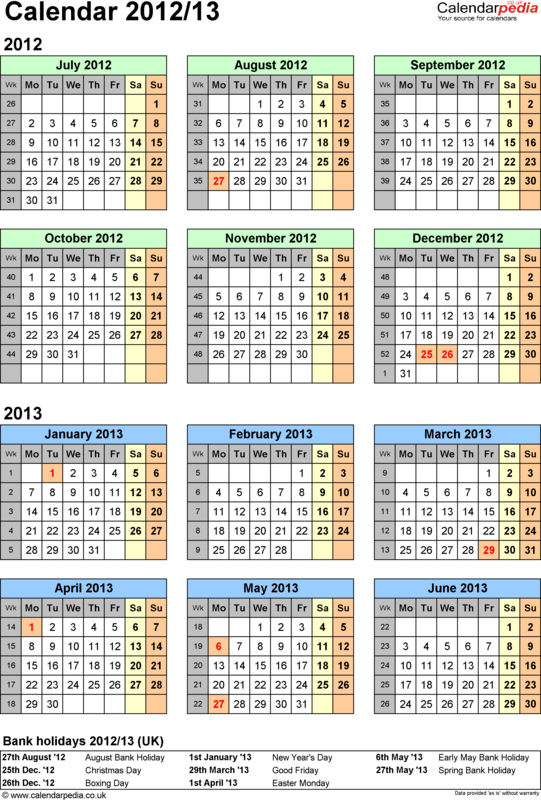 The dates also correspond to the financial year dates in Australia and New Zealand.